By now, you’ve likely already heard the news. The TEAS V is being replaced by the TEAS VI, a brand new version of the exam administered to aspiring nursing school students all across the United States. What’s changed from this new edition of the test compared to the old? Not much, we’ve found. However, if you’re going to be taking the ATI TEAS 6 in the near future, you’ll want to know what these differences are and how you can prepare as thoroughly as possible. First off, we’ll go over the basics. Like always, there are four subjects featured on every incarnation of the TEAS: English and Language Usage, Reading, Science, and Mathematics. In this overview, we’ll discuss the Science section. By now, you’re likely well aware of the importance of Science to not just the nursing field, but the medical field as a whole. The industry constantly changes as a result of various medical breakthroughs that only take place with the help of thorough, diligent scientific research. Nearly every task a nurse carries out involves science in one way or another, whether if it’s listening to a patient’s heartbeat to drawing blood to administering vaccinations. None of these very common procedures you’ll be expected to perform on a day-to-day basis could exist without the help of science. You will also be expected to engage with the subject on varying levels as you work in your chosen field. Much of the biological processes that go on in the body and the standards by which we’ve come to perceive as belonging to a healthy individual were discovered scientifically and are still measured scientifically. The TEAS exam understands this fact, and so each successive incarnation tailors itself to meet the various forms and levels of scientific knowledge every entry-level nursing student should be aware of upon beginning their education. 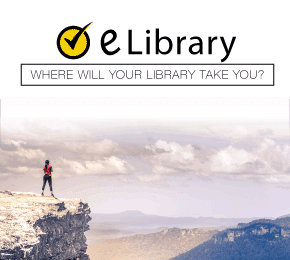 At Mometrix Test Preparation, we make it our mission to give you every possible tool you’ll need to succeed on any exam, including the TEAS test 6. While its contents are new, we want to give you as much information as possible so you can prepare as thoroughly as you can. 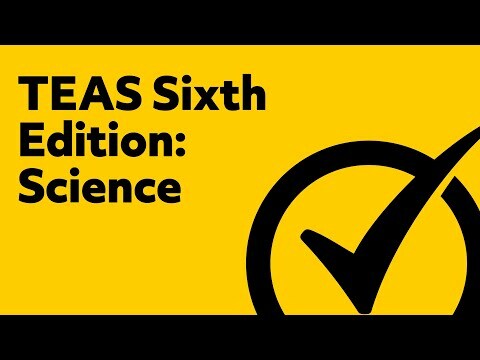 Keep reading to learn how the Science section of the TEAS 6 has changed and how you can approach its contents effectively. How Has the Science Section Changed? The good news is you won’t encounter too much change in the TEAS 6 Science section. It has simply been pared down in more ways than one. The amount of questions has shrunk from 54 to 53—a small change, to be sure, but a change nonetheless. Six of these questions will be unscored, leaving 47 questions to count toward your score. Alongside this, you will now have a time limit of 63 minutes. The question categories have also been trimmed considerably, and now are comprised of Scientific Reasoning, Life and Physical Science, and Human Anatomy and Physiology. What exactly do these difference question categories entail? We will go over this information below by underlining categorical objectives, question formatting, and ways you can successfully approach them. The Scientific Reasoning category addresses science from a fundamental level. That is to say, you won’t have to know much scientific fact for these questions so much as how science works. This will include such concepts as what elements make up a well-constructed scientific experiment; how equipment is used and how to find quantitative data; generating inferences based upon the data presented to you; and how to identify what does and does not qualify as effective experimental procedures. This knowledge category is the shortest you’ll find on the Science subtest, totaling out to only seven questions. While you may assume you’ll have this question category down pat thanks to its subject matter, it will still be worth your while to refresh yourself with respect to the fundamentals of science. This subject is one most students learn once toward the beginning of their high school years, or even earlier, before moving on to advanced subjects. You don’t want to assume you’ve mastered basic scientific principles only to arrive on test day and draw blanks on the details of the scientific process. Be sure to review how the scientific method works, as well as the tools you may encounter and how scientific information is typically presented. The Life and Physical Sciences category is only a bit longer than Scientific Reasoning, totaling to eight questions. It addresses the large majority of natural sciences, from chemistry to physics to biology. As such, you will be expected to demonstrate your knowledge of how chemicals respond to different stimuli; the biological role of macromolecules; matter’s various forms and their relationship to one another; heredity and DNA and their assorted properties, functions, and interactions; the differences between several types of matter; and the rudimentary anatomy of atoms. In addition, you should also brush up on the basic elements of human anatomy. In What Other Ways Can I Approach the TEAS 6 Review? As you can tell from our descriptions of each question category, the content featured on the Science section of the ATI TEAS 6 is quite complex. You will need to keep track of information from multiple scientific disciplines, much of which is broken down into further, more detailed categories through the questions themselves. 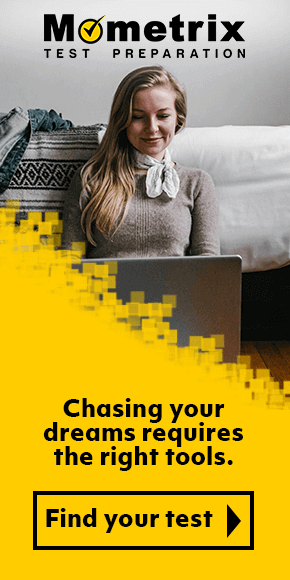 This can be overwhelming for some throughout the study process, which is why we’d like to present you with a few tips to make the study process and testing process easier. First, you don’t have to study one subject all at once. Rather, it should be easier for you to split each discipline into smaller pieces to study one at a time. Because the TEAS is available to take all year round, you can easily schedule it so you have enough time to study for the test as much as you need before the day actually arrives. For instance, for the Human Anatomy and Physiology category, you can split each bodily system into its own study topic and space them out day by day or week by week. This will help you to better keep track of and absorb the information, and is a far better alternative to cramming everything in all at once. One major aspect of the Science exam as a whole is the complexity of it. Very rarely will the answer to a question lie at surface level. You will have to dig into your knowledge and your studies to find the correct answer to questions. Some questions you’ll encounter will deal with very specific subjects. As with all sections of the TEAS test, we also encourage you to read thoroughly. This cuts down on careless mistakes by ensuring you have all the information available for you to work with. Before you take the test, we suggest familiarizing yourself with its possible questions as much as you can. You can do this through the help of an ATI TEAS 6 Science practice test, which you can find on our website. A practice test will expose you more deeply to how the test works and allow you to experience it firsthand before the big day arrives. You can then use the practice test to adjust your speed and efficiency. Taking advantage of practice tests not only adjusts you to the formatting and gives you an idea of what to expect, but it also gives you awareness of your strengths and weaknesses. You can easily see which types of questions you most frequently got wrong, allowing you to rework your study plan to better focus on gaps in your knowledge. Whether you’re taking the practice exam or the full-fledged TEAS, it will help immensely if you simplify the questions as best you can prior to answering them. This is especially useful for more complex questions, which may be filled with a lot of information at once. Consider taking notes in the margins of each question to get to the bottom of what they’re asking for. By simplifying it and rendering the information into smaller bits, you will then be able to more easily digest the full question and work towards the best answer. We hope you will be able to use our resources to craft an excellent study plan and go on to ace the ATI TEAS 6. At Mometrix Test Preparation, we strive to grant you every possible study tool you’ll need to study hard and do well on any exam. We realize the TEAS is the first step toward entering nursing school and working toward your dream. This is why we’ve put together this ATI TEAS 6 study guide, as well as ATI TEAS 6 flashcards and other resources. We want to see you succeed. Study hard, and good luck!